In recent years, motorcycle technology opens new avenues for all rider styles and experience levels. They don’t just become more attractive, but with additional safety features, more power and ability, these 2018 bikes become a desire for all bikers. We’re all different when it comes to two wheels and what’s important for what we plan to do with the bike. Therefore, we provide a list of the most awesome 2018 bikes without focusing on a specific style. 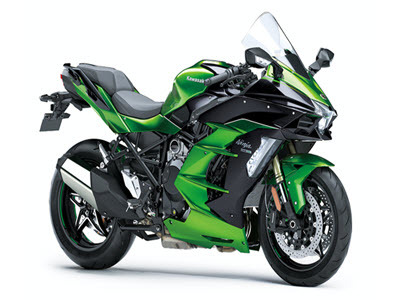 Let’s give in and find out what the hottest new bikes have to offer! 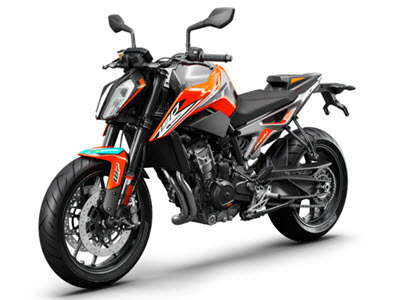 The iconic bright-orange colours of KTM is one of the many features of the new Duke that makes it both attractive and aggressive-looking at the same time. The new 2018 release features an all-new 799cc engine along with standard features you won’t even find on most superbikes. The parallel twin delivers an exciting yet manageable ride with 105bhp and 46ftlb of torque, which is further complemented by a total weight of just 169kg. 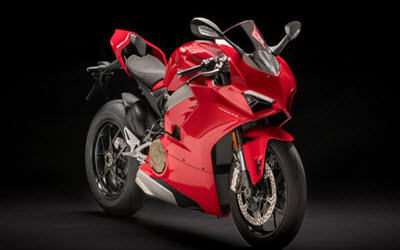 Moving on with a naked bike to the new Ducati that comes fully dressed might be a bold move, but there’s simply no way we could leave out the latest red demon of the motorcycle world. The Panigale V4 developers yet another MotoGP-sounding beast that’s geared towards those who simply can’t go without riding on the absolute limit. The V4 pumps pure adrenaline through its 430-pound body and delivers a mind-blowing 226hp. Even with the previous Superleggera’s chassis instabilities, we’re excited about the new addition. Ducati always seems to blow us away with opportunities we didn’t know exist. From the thrilling roar of a Ducati to the absolute insane, we look at the all-new H2, which is on the watch by many bike fans from around the world. The original H2R has already gained a reputation as the fastest production bike in the world, thanks to a supercharged 998cc powerplant, which developers a mind-blowing 101ftlbs at just 9,500rpm and 200hp at 11,000 rpm. The new H2 SX might not deliver the same 300+hp as seen with the R model, but it’s still set to amaze with powerful features that are surprisingly gentle, thanks to the supercharger offering a smooth ride with power from low revs. For most, the Niken is just weird, especially with the double front wheels, which to a 2-wheel fan would simply seem to apply limitations when it comes to learning and having fun on a twisty road. 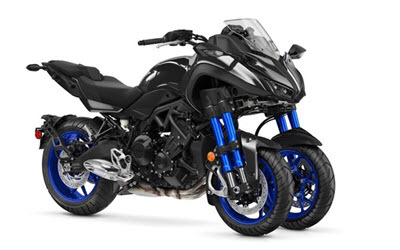 However, Yamaha has achieved some amazing things with the Niken as it essentially doubles the amount of grip available with the front wheels. On top of that, the 847cc DOHC powerplant allows riders to push the limits with enough to squeeze in some power slides and have a lot more control and ability. Sure, it represents the look of a sporty scooter for some, but the first few corners are sure to have you considering a trade-in.